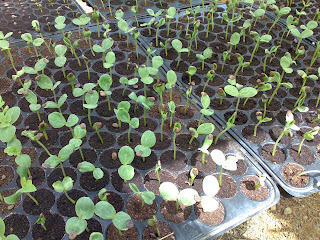 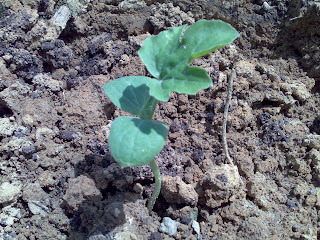 Watermelon at the age of 10 days awaiting to be transfer to the field. 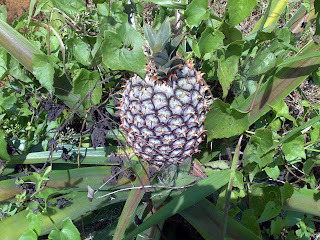 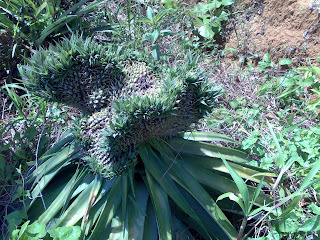 The pineapple at our orchard almost all of it is bearing fruit at this time and the bottom picture sure a strange one....got 2 trees like this...any one could explain? 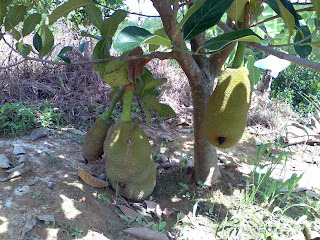 Just to check if our jackfruit tree could carry the weight of it fruits we lets a few of the fruit grow...but one thing for sure we need to wrap the fruit in the future...it has been attacked! 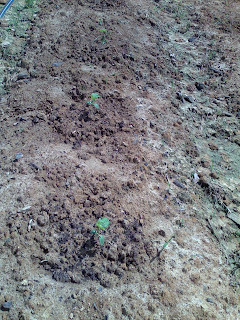 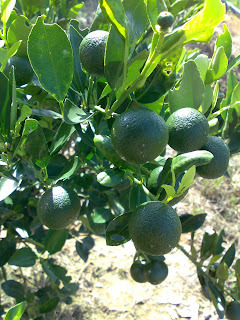 Dear Olive...thanks for visiting...put all my resources onto this land and will work my heart out to ensure it success!